What is the Golden Horde? Consider something for a moment. Think about a significant, life-as-we-know-it altering event, sometimes called TEOTWAWKI. It could be a massive power outage caused by a natural or manmade electromagnetic pulse (EMP) that affects at least 1/2 of the nation. Maybe it’s a major seismic event along the New Madrid fault that severs the U.S. in two, disrupting cross-country transportation for years. Or perhaps it’s a financial event where the economic house of cards comes tumbling down in a matter of days. Whatever the event that you choose to imagine, it’s safe to assume that the government at all levels will be overwhelmed. Emergency personnel will try their best but they’ll be unable to provide timely assistance to those who need it. Communications will be sporadic. People will search for the promised help that doesn’t arrive. Since most people are ill-prepared for such an event, many will scramble to figure out what to do. Many will panic. Others will begin looting to scrounge what they can to survive. Still others will turn on unsuspecting people, preying on their vulnerability, simply taking what they want. After a short while, people will flee the cities, realizing that the life that they’ve come to love – the nightlife, the daily trips to restaurants or markets, the gourmet shoppes – cannot be supported without massive external inputs. Food cannot be brought in, sewage cannot be pumped out, water cannot be purified. Life is simply unsustainable for millions of people densely crammed into a relatively small area. So they flee, looking for food, for shelter, for help. Or for someone to take these things from. Some may be what we’d call bad people. Those that enjoy harming others. When the rule of law is nowhere to be found, they’ll have their fun. Others will be good people at the end of their ropes. They’ll have hungry kids to feed and no way to do it. Desperate, they justify things that they never thought themselves capable. That’s the “Golden Horde” you’ve heard about. A mass exodus of millions of people fleeing the city, turning to the country where, they believe, food abounds. And once they arrive, they’ll stop at nothing to feed and take care of themselves. Originally the Golden Horde referred to the Mongol Armies of the 13th century that conquered territories from Northeast Asia to Eastern Europe to Siberia to the Black Sea. They eventually controlled over 2.3 million square miles. They were known for vicious raids and sometimes complete massacres of civilian populations. 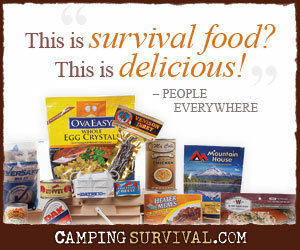 I first came across the modern use of the term on a SurvivalBlog post some years ago. Since then, I’ve seen the concept played out in many apocalyptic works of fiction. It’s a dire situation now matter how it was portrayed. So, why do I mention this? Of what value is this to the prepper or homesteader? Laura and I prepare for many different types of events. We prepare for emergencies that will only affect our family such as the loss of a job. We prepare for community, local, regional, national, and even global events. The Golden Horde is a very real possibility for some disaster scenarios. So, it’s wise to not only be aware of it but to also make plans for it. If you’re in the city, make plans to get out. Make backup plans for when your primary plan falls through. And don’t stop there. Have multiple backup plans. Know where you’ll go, how you’ll get there, etc. What will you do if you cannot get to where you’re going? If you already live in a rural area. Expect a mass exodus of hungry, scared, and desperate people. They may knock on your door. Or they may just begin taking what you have. Plan your response ahead of time. Will you share your supplies? Will you take them in? Will you send the away. What will you do if you cannot stay where you are? Where will you go? Great post, Joe. It’s good to raise awareness of issue like this. Thanks Jarhead & Nyquil762. I appreciated it. interesting scenario…I live in Georgia and have family in the southwest corner of the state in a very rural area. always thought that to be a refuge….then I read about research that was done when the German civilian “golden horde” poured out of the bombed out cities of ww2. they picked clean 7 miles on each side of the major highways leaving the cities…this research also pointed out places that were vulnerable in a collapse of the united states. the whole state of georgia is considered vulnerable because the state of florida will move north with no electricity, food, or fresh water….it is expected that they will wipe georgia clean like locusts….maybe northeast in georgia deep in the mountains might be safe….not a very good situation for me! Interesting, Scrambo. It’s good to have done the research so you know what may come and you can take some precautions beforehand. For example, if you believe that the golden horde will wipe your area clean of wild edibles, you’ll know that you shouldn’t rely too much on supplementing your supplies with them. Likewise, hunting may not be much of an option for you, but after they pass perhaps fishing will be good? Just a thought. great post… I saw a documentary that discussed the golden horde in modern terms…the research was from what happened in germany in w2 when the masses left the cities that were being bombed by allies, they picked the countryside clean 7 miles on each side of the freeways. this made me change my bugout plans…georgia will be picked clean because hungry scared floridians lacking air conditioning fresh water and food will en mass move through georgia like locusts….unfortunately my family farm is in south ga along a major thorough fare…not going there….